A larger percentage of Washington principals are staying in schools with high poverty rates than the national average, and a greater proportion of elementary assistant principals work in high-needs schools, according to a new University of Washington study of principal retention and mobility. At the same time, the state has made little progress diversifying the profession over the past 15 years, said researchers who prepared the report for the Office of the Superintendent of Public Instruction. A higher proportion of Washington principals (84 percent) stayed in schools where the poverty rate exceeded 75 percent, compared to the national average one-year retention rate of 73 percent, for the most recent year in which national comparative statistics are available (2011-12). When looking at retention and mobility over a five-year period, the study found that while principals are statistically more likely to exit the profession as the student poverty level in their school increases, the odds decrease as the percent of students of color in the building increases. Ana Elfers, co-author of the report and research associate professor of education, noted the complexity of principals’ working lives in influencing their career movement. While the number of principals grew at the same rate as the state’s student enrollment (4 percent) from 2010-11 to 2015-16, the number of assistant principals skyrocketed over the same period, increasing 29 percent over five years. 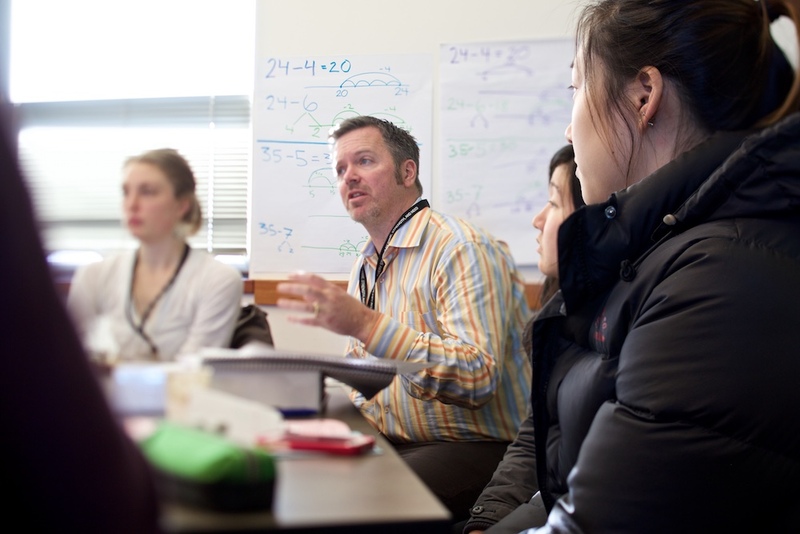 Nearly half (45 percent) work in schools in the Central Puget Sound region. The vast majority of the increase in assistant principals was at the elementary level, where the number of elementary assistant principal positions more than doubled. Moreover, larger proportions of elementary school assistant principals worked in schools with the highest percentages of students in poverty, students of color and students enrolled in the Transitional Bilingual Instructional Program. Since the 2000-01 academic year, when 91 percent of principals were white, only minimal gains have been made to the racial and ethnic diversity of Washington’s school administrators, with white principals making up 89 percent of the workforce in 2015-16. Elfers noted the issue is related to Washington’s continuing teacher diversity gap, as most school administrators begin their careers as teachers. No notable differences exist in compensation levels between males and females, but school administrators working in districts with lower property wealth have lower salaries. Secondary school principals have higher average compensation levels than elementary school principals. Overall, researchers found that 42 percent of Washington principals remain in their same schools after five years, while an additional 23 percent remain in their same districts. Including principals who retire, 22 percent exit Washington’s school system after five years. From 2011-12 to 2012-13, the proportion of Washington principals who stayed in the same school (81.9 percent) was higher than the national rate of 77.4 percent. Of those who changed schools, 75 percent of Washington principals moved to a school in the same district, compared to a national rate of 54 percent.